Alhagy grew up on a family farm in North West of The Gambia, a small country in West coast Africa, bordered by Senegal and the Atlantic Ocean. At an early age, Alhagy realized he had a love for the outdoors. This love carried him to college where he obtained a Bachelors Degree in Forestry which led him to a 28 year career as a Forester working for The Gambia government. During Alhagy’s career, he developed a new passion of the idea of working for himself. He started his entrepreneurial career by opening a hardware and building supply company and also was very involved with raising and fattening livestock for sale. In 2007, Alhagy was able to come to the United States to pursue his enterprising dreams and was able to obtain his citizenship in 2013. During this time, Alhagy trained and worked as a CNA, Over the Road Truck Driver, Tax Preparer, and Cab Driver. Alhagy also does graphic designs and makes business cards, signs, banners, etc. In 2014, Alhagy took the next step in his quest of working for himself by becoming a real estate agent. When Alhagy is not working, he enjoys spending time with friends. He is a news junkie, enjoys music, and maintains his love for the outdoors. Alhagy is very involved with his congregation, helping the less fortunate. Alhagy speaks multiple languages and holds multiple degrees. Alhagy has also traveled to many countries around the world including countries in Europe Africa and the Americas. Throughout Alhagy’s life he has been an achiever and a servant. As a real estate agent his results will be no different. Alhagy is building his own American Dream and that Dream now includes real estate. Alhagy’s life experiences have provided him with the skills to help you fulfill your dream of finding that special home and or helping you sell your home so you can take the next step in your life. Amanda Lopez was born and raised in Louisville, Kentucky. She is one of four girls and is the daughter of real estate agent Lori Lopez. She is eager to serve both buyers and sellers in the Louisville area as well as surrounding counties. Amanda loves to sing and spend time with her family and animals. Angela is a Realtor who is passionate about the needs and goals of her clients and brings peace of mind to home buyers who may feel overwhelmed by the buying process. Enthusiasm, hard work and personalized service go into everything Angela does. Realizing that every client has an individual and specific need, Angela recognizes theses needs and follows up before and after the deal has occurred. With her knowledge of real estate and having over twenty years of experience in sales and management, she is considered a true asset to her clients. Angela was born and raised in Cumberland Kentucky and currently resides in Frankfort. When not working with her real estate family, she enjoys time with her husband and children, gardening or being involved in the community as an ambassador for the Frankfort Chamber of Commerce . Angela Turner is a Professional Realtor, and very down to earth, A southern Girl with a very bubbly personality who doesn't meet a stranger. Along with being very knowledgeable about the Real Estate Industry. Angela is definitely the one you want on your side for your Listing and Home buying needs. Giving you maximum service is her greatest Reward. Hello!! I would love to have the opportunity to be your real estate professional. It's no problem for me if you need my assistance after regular hours or on weekends. Give me a call and we can get started!!! Barbara is a native of Louisville and loves her city. She brings over 20 years of experience as a real estate paralegal, a loan officer, real estate investor and real estate agent. Barbara sincerely cares for her clients by working with them to make sure that they are comfortable with the home buying or home selling process. I am a family man, tradesman, and entrepreneur in that order. I have a lot of experience in the construction field and have a broad knowledge of house repair and remodeling. In short, my experience with homes and how they are built goes beyond a 15 minute home tour or open house. I enjoy guiding clients through the often difficult and sometimes stressful home buying experience. I live in Shelbyville Kentucky with my wife and two daughters Mollie and Eva. I enjoy my family, golfing, aviation, and the hunt for a good deal (real estate). My family pushes me to be better, golf frustrates me, aviation is a dream, and selling homes is what I do. I firmly believe life is less about what happens to you and more about how you react to it. Bridgette has lived in Louisville for 30 years. Growing up in the Highlands, she enjoyed exploring the neighborhood; the shops, restaurants, and parks. She has a large extended family, most of which resides in the Louisville area. Bridgette has familiarized herself with many different Louisville neighborhoods, as well as Bullitt and Shelby counties. After finishing Graduate School at the University of Louisville, Bridgette worked as a researcher for a jury consulting firm, in which she traveled to many different states across the United States. Although she loves to travel, she knew that her heart always was and will be in Louisville. Bridgette enjoyed doing research for many years, but her passion for helping others was not being fulfilled so she decided to make a career change. Now Bridgette looks forward to helping people find their dream home in the city she loves so dearly. Here are a few testimonials about Bridgette: "Bridgette is dependable and friendly. She will see you through your home buying or selling journey with patience and dedication. She's a true go-getter, the type of person you want on your team." Jessica Rubin "I've known Bridgette for 20 years. She is diligent and loyal. I couldn't ask for more in a friend, and I know she will prove to be the same as a realtor." Shavonna Ross “Bridgette is a dependable, compassionate person with a heart of gold. Bridgette has the skills and background to ensure her clients are satisfied. She’s sure to treat every client with the care and attention she would with her friends and family.” Lesia Grantz Bridgette's warm-hearted family has assisted her to be the woman she is today. Her hard working parents have been married for 47 years. She is the middle child of three sisters and she has four nephews that she adores. Her family enjoys traveling together and spending time at the lake on her father's boat. Bridgette lives with her partner of nine years and is helping him raise his four children. She loves being the woman of the house and enjoys their family game nights. Bridgette also enjoys going to aerobics classes at the gym and spending time with her friends, many of which she's known since childhood. Bridgette has an authentic ambition to meet, if not exceed client expectations. Her goal is to not only aid in your current real estate transaction, but to earn your trust so that you know you can count on her for your future real estate transactions as well. If you are in the market to buy or sell in the Louisville or surrounding area, give Bridgette Lewis a call (502) 291-7492. Experienced REALTOR, with Exceptional service through cutting edge technology, raising my family here in Lawrenceburg, KY. I am proud to assist buyers, sellers, and investors with properties in Anderson County and surrounding communities. With my multiple designations, I'm able to help simplify what can be a complicated process for all buyers and sellers. I have been licensed since 2012 and have the following designations: ABR (Accredited Buyer Representation) - The Benchmark of excellence in buyer representation. GRI (Graduate, REALTOR Institute) - Additional knowledge and skills to help guide you through any real estate transaction smoothly and easily. Whether buying or selling, experience more with a REALTOR committed to providing the best professional service. MRP (Military Relocation Professional) - Understanding the process and procedures involved in a military relocation and how these impact service members relocation and housing choices. I am originally from Henry County and a graduate of HCHS. I went on to study Early Childhood Edu/Business at JCTCS and Marketing at UofL. I enjoy living in Anderson County with my husband, Eddie, and our blended family of 7. Our family are outdoor enthusiasts with a passion for motocross. For answers to your real estate questions, call/text me at 502.552.3893 or carolyn@exitrealtycrutcher.com. Text Peffer to 85377 for my mobile Business Card. I was born and raised in Louisville and moved to Oldham County 10 years ago, with my wife of 25 years and three children. I am an avid hunter, fisherman and have enjoyed coaching my children’s sports teams when they were young. I am a member of Southeast Christian Church, where I was a youth leader for four years, as I’ve always enjoyed being involved with the youth and helping others. I would be honored to have the opportunity to help you find your dream home. Chance grew up on a cattle farm in Borden Indiana where the concepts of hard work and doing things right were instilled in him at an early age. Chance’s parents were central to this teaching and told Chance that if you are going to take the time to do something then give 100% effort and be the best you can at it or do not do it at all. As for work, those of you who have grown up on a farm know that hard work is a way of life. This upbringing served Chance well. As a youngster Chance was a heavily involved and accomplished team roper. While in High School Chance was a standout basketball. Chance also went on to earn his bachelor’s degree from the University of Louisville. While in college Chance was able to take a trip to the Bahamas and was struck by how friendly and positive the local population was despite their living conditions. This experience solidified his desire to find a career that would allow him to help people either through his chosen profession or because of what success in his chosen profession would allow him to do. It was not long until Chance found a career that would allow him to meet his objectives and that career was real estate. When Chance is not working he volunteers with his former high school basketball team and enjoys wake boarding, hunting, snowboarding, beach volleyball, trail riding, golf and sporting clays. Chance also enjoys reading suspense thrillers. He also continues to help on the family farm. If you’re looking for someone with a proven track record of success, someone who knows what working hard means, someone who executes the real estate process with the client’s desired outcome as his focus, and someone who will leave no stone unturned in the pursuit of helping you sell your home for the most money our assisting you in the purchase of your dream home then Chance is your choice! Call Chance today! Hi I’m Cheryl Lary I have been a real estate agent since early 2011. I am passionate about real estate and helping people achieve the American dream. I am a delegate on the state level. I am a graduate of the leadership 2013 class with KYR, “Kentucky Realtors”. I am an entrepreneur , owning businesses in the area where I call Louisville my home. I look forward to serving the people of Kentucky with all their real estate needs. With our faith we can not fail. Hi, folks! Clint Goins here – your friendly, hometown realtor! I’m a graduate of Western Hills High School and Murray State University. I love sports, particularly high school and small college, and run the volleyball leagues in Frankfort. You might occasionally hear me doing play-by-play on the radio or cable TV. I’ve been married for over 30 years, have a son, a daughter, a son-in-law and 2 incredible grandsons! I’ve spent almost all of my life in the Frankfort, Lawrenceburg, Shelbyville area. I KNOW this neck of the woods. If you are considering buying or selling a property, I hope you will give me a call and let me explain what I can do you for you!! Connie has been serving both buyers and sellers in the central KY Real Estate market for the past ten years. He has specialized in listing HUD owned properties for the previous five years in Anderson and surrounding counties, which includes Franklin, Henry, Owen, Scott, Bourbon, Fayette, Clark, Montgomery, Woodford, Jessamine, Madison, Garrard, Mercer, Boyle, Lincoln, Washington, Nelson, Spencer, Marion and Shelby. Close to home he has assisted Buyers and sellers in Coolbrook, Farmdale, Alton Station, Green Meadows, Starhill, Nautical Chase, and Stringtown, to name a few. One of his recent clients wrote: Working with Mr.C was great. We were being relocated out of state during the sale of our house, and I couldn’t imagine the process going any smoother. Thanks for selling our house Mr.C. E. Smith Connie always tries to make his clients comfortable with the whole process and is willing to help with everything involved whether buying or selling. He was raised on the farm before becoming a collision repair Technician for approximately 15 years, then taught grades 9 through 12 Collision Repair in FCCTC for 26 years where his students affectionately gave him the name of Mr.C. When nearing the end of His teaching career, He became interested in Real Estate and started as a part-time Realtor but soon discovered that it is a full-time commitment if justice is to be done. Corey Borden is a real estate professional serving Greater Louisville and the surrounding areas. He helps buyers and sellers make their dreams come true! He is comfortable working in Shelby County, Jefferson County and also the Middletown area. Corey is seeking to expand and branch out. Corey's main focus is residential but is eager to get into condo's and commercial properties. Corey was born and raised in Louisville, KY. He has two siblings, a younger sister and a younger brother. Corey enjoys being with family and friends. His family and life experiences have taught him many lessons about always doing your best and working hard. When he is not working hard as a substitute teacher or helping others, he is playing basketball, snowboarding, and wakeboarding. Corey also enjoys bowling, dancing, skating, and paintball. Corey will dedicate all of his time and effort to turn your dreams into a reality. If you want to create a new story, buy with Corey. Proudly serving The Louisville and Greater Surrounding Counties. Please Call Me for all your real estate needs. Dana grew up in the Indianapolis area, moved to Paris, Kentucky in 1985 where she is a member of Bedford Acres Christian Church. She lives on a farm in beautiful Bourbon County with her husband Jack and pup Dakota and loves to host and entertain her family and friends be it around the pool in the summer or basketball in the winter. She started her career in Customer Service, then on to Account Executive for a printing company in the mid 80’s and after years of loyal service and dedication she recently retired to put her heart into Real Estate. She earned her license in early 2017 and is ready to serve. After 32 years of listening to detail and the wants and needs of her clients/friends, she can help you find your perfect property. Reach out to her anytime for help buying or selling your home or property in Paris, Lexington and surrounding cities. Let’s do this together! Dan and his family has lived in Louisville the last 10 years, when he is not working he is spending time with his wife, kids and dog. His parents grew up in Breckinridge County they taught him small town values like, Honesty, Integrity, and to always do the right thing. He passes these values onto his clients making sure they are protected in the transaction. Dan was in the Customer Service industry for the last 14 years. He knows it is important to learn and understand his clients expectations in order to meet and exceed them. Dan is unique in the fact that he specializes in utilizing innovative marketing technology and strategies to help find or showcase and sell your home. I have over 40 years experience with Real Estate sales, Lending & title. I’ve held positions in Banking, Accounting, and escrow management for both residential and commercial real estate in a major lending institution in Florida where I’m also licensed and have been for over 30 years. My background and expertise makes me uniquely qualified to be a liaison between my clients and lenders, Attorneys, Title Companies, Inspectors and other Agents making the sometimes difficult process of negotiating and getting the deal to closing effortless for my clients. I was a licensed Kentucky Life Insurance Sales Agent, along with being Past-President/Board Member of the Fern Creek Community Association & Chamber of Commerce and also on the Board of Co-Alliance of Louisville, Kentucky. I have a profound desire and commitment to provide my client great service in the goal of fulfilling their real estate dreams whether selling or buying. In the unfortunate circumstance of foreclosure or short sale, I offer full service and treat my clients with respect, dignity and compassion. I have had managerial office Skills as manager of a few Kentucky attorneys Real Estate Closing Title offices then ten years of owning my own title company, licensed in Georgia, Kentucky & Indiana. I have been a closing Agent for real estate loans, Closing Paralegal, Coordinator & Office Manager. I have Computer skills in word, excel and Settlement Statements. Computers file maintenance, investigation, problem solving, & customer service. I have developed & maintained records and relationships for transactions/customers. I have reviewed & maintained documentation, reports, spreadsheets, charts, workouts, closings, credit investigations & loan monitoring/servicing procedures. I understand escrow accounts and analysis and delinquent taxes. Accounts Payable/Receivable, reconcile reports/statements, research, voucher preparation, balance subsidiaries, wire transfers, & audit procedures. My main focus is helping people! I love to learn but also teach my peers what I know. I like to be involved and be an asset to the deal! Hi, my name is Donna Franklin and I have lived in Lawrenceburg, Ky my whole life. My husband Phillip Garrett Franklin Sr. and I graduated from Anderson County High School in 1971, and have been married for 45 years. We are members of Corinth Christian Church. We have been blessed with a wonderful son, Brother Garrett Franklin, his wife, Jenny Wade Franklin, a grandson, Lucas, and a granddaughter, Sarah Elizabeth. We also have a wonderful daughter, NaBeth F. Turner, her husband, Jacob Turner, a granddaughter NaKayla, and grandson, Bailey. I am the daughter of Ernest Cox and the late Sarah Elizabeth Cox. I have retired from the U.S. Postal Service in Lawrenceburg, Ky, with over 30 years of customer service experience. I have been a Real Estate Sales Agent since April 1978. I would be honored to help you "Make your dreams happen". For all your real estate needs, please feel free to give me a call - 502-517-6912 or send an email to dfranklin@exitrealtycrutcher.com. I am from a big family with 7 brothers and sisters, I have two children, a daughter and a son. I am also a new grandmother to a beautiful girl named Bella. I was born and raised in Frankfort KY and I graduated from Franklin County High School so I have deep roots in the Frankfort area. I have taken lots of classes in technology software at New Horizons in Lexington Kentucky. My biggest personal achievement would be my upcoming retirement from State Government. I am excited to make Buying and Selling Real Estate in the Frankfort Kentucky and nearby Lawrenceburg area my full time job helping those interested in buying or selling in the area. I love solving issues and finding solutions that will work best for whatever goal someone may have. I am honest and loyal to everyone I work with and have worked with in my past. I look forward to meeting new people and helping their dreams become a reality! Emma Taylor is a real estate professional serving Central Kentucky and the surrounding area. Emma was born in Paris, Kentucky in the beautiful rolling hills of Bourbon County, where she resides today. She is a member of Bedford Acres Christian Church. She has three wonderful children, Glen, Steven and Dana, two daughter-in laws, Margaret and Emmie and a Son-in-Law, Jack. She has been blessed with four amazing Grandchildren, Leslie, Kelsey, Halie and Ryan, Four special Grandpups and two Grandkitties. She loves spending time with her family, be it special occasions or simply a summer time cook out with karaoke (she loves to sing!) or lounging by the pool. Emma worked for a prominent builder in Lexington, Kentucky for 15 Years where she retired and now works part-time in the banking industry, along with practicing Real Estate. Her career in building gives her the edge on home ownership and visualizing a homes true potential. Her daughter, Dana Mingua was her inspiration for becoming a reator. They will be working as a team for Exit Realty Crutcher in Frankfort, Kentucky and look forward to serving you. Give her a call anytime for any and all of your real estate needs. (859)230-2845. Blessings! Jane, can be defined as dedicated, driven and determined. A native of Anderson County, Jane is a graduate of Kentucky Christian University where she obtained a Bachelor in Social Work and a Bible degree. She also holds a Master of Science in Social Work degree from the University of Louisville. She now takes on a new adventure after a 15 year career serving families and children as Family Resource Center Coordinator for the public schools systems and a clinical social worker for Hospice of the Bluegrass. At hospice, she walked with people as they faced difficult decisions; providing education and support as her patients and families made “hard” decisions during end-of-life care. As an FRC coordinator, she worked to help families and children gain access to resources to overcome obstacles and achieve goals, coordinated educational support programs, and collaborated with community programs. She will be able use these same skills to help her clients get the results they want in buying and selling a home. In her spare time, Jane loves, traveling, spending time with family and friends, watching her 5-year-old son as he develops new skills whether it be playing with Legos or running the ball on the soccer field. She and her husband are actively involved in their church and serve on the Board of Directors for Camp Calvary Christian Assembly where they currently assist with coordinating fundraising programs and work with campers with disabilities. As she transitioned from her most recent role as an FRC Coordinator, Jane joined the Exit Realty Crutcher team first as an administrative assistant, learning the ins and outs of buying and selling a house. She is now ready to hit the pavement as a real estate agent and is excited about her new career and anxious to walk with you as you make one of the biggest decisions of your life buying and/or selling your home. This can be one of the most exciting times of your life and she is here to help guide you through the process. Jennifer is proudly serving the Louisville, KY Real Estate market. Jennifer specializes in the Middletown, Jeffersontown, and Fern Creek areas helping buyers find the home of their dreams and marketing and selling seller’s homes, as well. Jennifer’s heart is in the residential properties but works the lender owned, HUD, and New Construction also. Selling or buying a home can be stressful, and Jennifer’s goal is to make sure her clients are taken care of during the whole process. Jennifer has a commitment to her clients that she will always return calls, emails, or texts promptly so as to ensure the buyer or seller that she is there for them. Jennifer’s character and work ethic speaks for itself. Here are a few testimonials: “At every task, Jennifer always goes the extra mile to ensure success. She treats every potential opportunity with a tremendous amount of enthusiasm and respect.” L. Wright “I have known Jennifer 3-4 years now, and I have never seen a more focused and determined individual. She is full of energy and makes us all want to laugh and smile. Jennifer keeps the momentum going, and she is dedicated to following through on the smallest detail. She is an incredible asset to any organization. “ B. Leonhardt “I have worked with her in business, leadership, and in several other different capacities and she is certainly a lady you want in your corner or on your team. She is a go-getter, hard worker, very intelligent, innovative, and full of creativity. She is very dependable, and you can count on her when the chips are down.” C. Hagan Jennifer is married and has three boys. You will often hear her joke that she lives in a “fraternity house” and she’s always looking for an excuse to get out of her house! Jennifer loves to watch DIY shows in her spare time and often completes projects around her home inspired by those shows. Her craftiness has helped her decorate her home on a budget, too. Jennifer is a former school teacher and a direct sales business owner. Both careers allowed her to work in close collaboration with the public and provide them with excellent service. She will walk alongside you, as any good teacher would, during your buying or selling process. She has been expertly trained to teach people to get where they want to go. Whether your destination is to purchase a home or to sell your home, Jennifer will be the partner you can depend on to close the deal. Ready to buy or sell in the surrounding Louisville Real Estate market? Then give Jennifer Heiby a call. She is driven and will work hard to earn your trust. Call her today at (502) 718-4467 to discuss how she can help YOU. Jennifer has been selling Louisville since 2016 with 10 years of property management experience. Jennifer is a mother of two with a Bachelors degree from Northwood University. Jennifer is ready to help you find your next home. Jesse is here to serve all your real estate needs! He has been serving Franklin, Anderson and Mercer counties for 1.5 years, building relationships with, lenders, builders, inspectors, appraisers and title companies. Jesse specializes in single family homes ranging from beginner homes to dream homes. As a dual agent he works with both sellers and buyers, always making his clients goals his own. With 20 years in residential and commercial building he brings a wide variety of experience, professionalism and work ethic to help you achieve the results you seek. Jesse also has expertise in land, farm, investment properties and new construction homes. Jesse finds Real Estate to be very gratifying whether it is that moment when he has successfully guided a buyer through the home buying process or when he has successfully sold a seller’s home or land. His desire is that his buyers are well informed and comfortable with the home or land they are purchasing. Jesse provides a pressure free experience while ensuring his clients are informed of all opportunities. He uses education, tools, technology and resources to maximize the experience for his buyer and sellers. Jesse is patient, persistent, educated, respectful, timely, dedicated to work hard. Here are a few testimonials from Jesse clients: "We were a bit cautious at first because Jesse was fairly new to Real Estate and to the area. That hesitation was quickly put to rest by Jesse's professionalism and genuine interest in managing the sale of our property to our satisfaction. We were not disappointed. We would highly recommend him to anyone" P & M Flynn "Go Jesse" D Flora Jesse has lived in 6 states, enjoying all of their beautiful landscapes and various traditions. At the early age of 10, Jesse's first job was as a janitor at a daycare. He has always been a motivated, goal orientated and responsible person. For 19 years, Jesse has been with his wife and they have 3 amazing children and 1 grandchild. Jesse's first career was as a mason. For 20 years, he laid brick, block, stone and concrete. He has a full understanding of what a day's work is and that motivates him to help make buying and selling a home easy for people. His grandfather, father and son all served this great country giving Jesse a deep respect for Veterans. It is his goal to give Veterans that helping hand that they all deserves. Jesse strongly wishes to help others obtain the American Dream. He has taken his education in Real Estate as the most important aspect to his success, he has exceeded Kentucky's continuing education requirements and will each and every year. He always has an eye on technology and new resources. Jesse's most redeeming quality is that he is genuine, he means what he says and does what he says. EXIT REALTY CRUTCHER provides an excellent platform for Jesse to meet your expectations. Today is the first day of your future. Begin it with Jesse. Call/text him at 502-680-3776. Born the son of a 28 year veteran of the US Army, Joe learned at an early age the importance of service to others and he sees his role as a realtor as a great opportunity to serve. Over a 38 year work history Joe has always risen to the task and found himself in leadership roles with each new adventure he undertook. In his early 20s he began work as a draftsman in a manufacturing facility and quickly rose to the level of general manager of the plant because of his willingness to work hard and put in the long hours necessary to make the business thrive. Later, because of what he saw as a calling to serve, he returned to the classroom where he earned his degree and began a distinguished career as a Licensed Physical Therapist. Joe worked in a number of settings and in each, he acted in a leadership role with the most notable being the Director of Rehabilitation Services and later the Chief Operations Officer at a local inpatient rehabilitation hospital. Missing direct patient care he later decided to go into private practice. His experience in administration serves him well in the areas of contract management/negotiation and client advocacy. He currently acts in the capacity of a Stephen Minister in his church and serves through the music ministry, FOCCUS Ministry working with couples preparing for marriage and helping to lead retreats. Joe is blessed to have the opportunity to work with his wife and daughter in real estate, and HE WILL WORK TIRELESSLY to be sure your experience with buying or selling your home is a positive and rewarding one. Joe will ALWAYS have your best interests in mind!! John was born in raised in a small farming community in Central Illinois where he was active in sports and worked his summers in various jobs from , bean walking, to bailing hay to working on the family tree farm, to head of the parks and recreation departments mowing crew. After high school John went on to play a couple years of college baseball which brought him to Eastern Kentucky University where he met the love of his life Melissa. John’s wife Melissa was a city girl from Louisville so there were some decisions to be made as to where they would live. John had no desire to live in the big city so they compromised and settled on Lawrenceburg which was the home of several friends they had met at college while still being close to the big city. While in Lawrenceburg John and Melissa were blessed with two beautiful daughters Savanna and Leah. In John’s first year residing in Lawrenceburg John was employed by Bellsouth Mobility where he was a top telesales performer in the Kentuckiana region. Not long after however, Bellsouth Mobility was bought out and John declined to move away from the town he had grown to love and call home. This led John into his next venture of starting his own business which was A Plus Lawn and Landscape. Over the next twelve years John, with help, built one of the most respected lawn and landscape companies in central Kentucky. Also, during this period John stumbled into small business consulting where he began working with other businesses throughout Central Kentucky and as far away as Pennsylvania, Connecticut, Texas, Georgia, Colorado, Long Island and Canada. As a consultant John has worked with numerous organizations in multiple industries such as; screen printing and embroidery, lawn and landscape, banking, manufacturing, sanitation, non-profit, governmental agencies and real estate. In 2013 John decided to make a change from the Lawn and Landscape world and sold off his business. His next challenge was accepting a position with Exit Realty Crutcher in Louisville where he was named Director of Public Relations and Growth. In this position John worked with agents on Business Planning as well as Business systems implementation to help them become more productive and successful as well as overseeing the offices training programs. Currently John is transitioning back to Lawrenceburg to build his own real estate business where he can work with all of his past clients and friends that he has been blessed with over the years. As a volunteer with the Anderson County Chamber of Commerce John has held positions on the board including past chairman as well as involvement with the sign ordinance committee and committee chairman for the popular Business and Community Expo for its first 6 years of existence. In 2012 John was named a “Bluegrass Connector” and was one of 144 people chosen out of over 5000 people in Central Kentucky who were identified as trusted leaders who get things done. In his spare time John volunteers with numerous Chamber’s, Civic Organizations and projects as well as Children’s Ministry and Security at his home Church. John is also an active sports dad with his daughter Leah playing soccer and his daughter Savanna playing softball. John is also an avid outdoorsman and spends numerous hours improving his farm in Anderson County Kentucky. Whether you are working with John as a part of a civic or charitable organization, as a business consulting client, as a Realtor or as a real estate client you can rest easy that John will leave no stone unturned when it comes to providing you with a streamlined, logical and informative process to help you succeed in your endeavors. Regardless of your needs give John a call today and experience what many have come to love, and that is the feeling that I am valued as a client, my needs have been heard and met and my hard earned money has been well spent! Stop by the office or give me a call anytime. I look forward to discussing any of your real estate needs. Born and raised in Frankfort I have lived in central KY my whole live. After getting married to my high school sweetheart we now have three wonderful children. I love real estate and I love helping people find the right home. Julie Richard is a full time Realtor in the Lawrenceburg office and a member of the Lexington Board of Realtors. She enjoys working with both buyer and seller clients, so whether you’re a first time home buyer, an empty nester or an investor she is eager to negotiate the best possible deal on your behalf. When she is not busy listing or selling houses she enjoys spending time with her family & two dogs, volunteering at an animal sanctuary and listening to music. Kenny is a native Louisvillian, born and raised in the Bon Air neighborhood. From a young age, Kenny worked with his dad to help family and friends with home repair projects. This hobby fostered an interest in becoming a Realtor. Whether you are selling, buying, or renting, Kenny understands that this process is one of the biggest and most important decisions in your life. His greatest motivator as an agent is assisting individuals and families in seeing their dreams come to fruition in finding the perfect home. Having rental property in his portfolio, another of Kenny's passions is in investment and rental properties. A two-time Ironman, Kenny prides himself in going the extra mile for his clients. His parents taught him the values of hard work, honesty, financial responsibility, and loyalty, and as your Realtor, Kenny will work diligently to help you find the right property for you. Having purchased a foreclosure, Kenny knows the diligent and detail-oriented work it takes to go through the home-buying process. With a background in Human Resources and the Customer Service Industry, he knows how important it is to listen to your wants and needs, walk with you through the entire homebuying or selling process, and use every resource availabe. Kenny's family is central in his life. He resides with his wife, two young children, and dog in Jeffersontown. They are active members of St. William Catholic Church. In his spare time, the Trinity grad and Eagle Scout is an active volunteer at St. John Center for Homeless Men, has coached grade school cross-country, and loves hiking and camping in the great outdoors. Kenny Hawkins earned his real estate license in 2009. Since then he has continued to enhance his understanding of the market in all aspects of real estate. A long time resident of Lawrenceburg, Kenny sells residential and commercial properties in Anderson, Franklin, Spencer, Shelby counties and the surrounding areas. Specializing in residential, farmland, first time homebuyers and foreclosures he is multi-faceted expertise is a great benefit to his clients. As an agent with exit Realty Crutcher, Kenny utilizes exclusive marketing tools to widely expose his listing across the Internet, showing each property to its best advantage and ensuring each home stands apart from its competition. Kenny is a graduate of the Anderson County high school class of 1974, certified journeyman tool and die maker and has 23 years of experience in industrial maintenance. Kenny understands that a home is often the largest purchase a person will make in their lifetime and believe realtors must be well educated to provide the level of service and protection clients deserve. Kenny is constantly furthering his knowledge and has earned the distinction of sales representative. Can you understand the stress and hassle involved in buying selling and relocating process and strives to alleviate these concerns for clients. Kenny is a member of the Kentucky Association of realtors and the national Association of realtors, in addition to the Lexington bluegrass Association of realtors and the greater Louisville association of realtors multiple listings Service (MLS). In Kenny's free time he enjoys hunting, fishing, boating, riding 1500 Kawasaki motorcycle and cruising in his 1977 Corvette. Whether buying or selling, be at your first home, or your last home, or building your investment portfolio Kenny has the knowledge and experience to deliver and unsurpassed service you deserve he cannot wait to help you achieve your dreams as he has helped so many clients before. Call, text, or email Kenny Hawkins TODAY to start making your real estate dreams reality. Laura has been a real estate agent since August 2013. Her two passions in real estate are bringing offers to sellers and finding home buyers the perfect home. Laura prides herself on offering her clients individual attention to ensure every need and want is met during the home buying and selling process. > > > > When she is not working with clients, Laura is kept very busy at her home with her 4 children; David, Johnny, Evan, and baby Ella. Laura loves traveling and showing her children the history and cultures of different regions of the world. If you ask Laura about her travel plans, she will probably go into specific detail about several trips in the upcoming future. Laura has been married to a Lexington Firefighter since 2010. Prior to real estate, Laura was a certified veterinary technician for 10yrs. She focused primarily in research and emergency services. Laura is still passionate about animals, especially her senior rescue dog, Siri. Full time agent with over 20 years experience. Licensed in Ohio in 1991 and Kentucky 1999. Experience in all types of financing options VA, FHA, First time home buyers, down payment assistance programs, KY housing KHC and more! I also have done appraising and loan origination and have knowledge on full complete circle of all phases to handle any problems that may come up and get them resolved fast for smooth buying or selling. I love to exceed sellers and buyers expectations and remain a friend and their realtor for life! Professional, friendly, and extensive knowledge in every aspect to get deal done smoothly. Born and raised in Louisville Melissa knows the Greater Louisville area and surrounding counties exceptionally well. With property in both Louisville and Scottsville she is ready to serve you anywhere in between. She and her husband Bill have been married over 28 years, have 3 grown children one of which is now their guardian Angel, and 4 beautiful grandchildren. Melissa believes in putting others first and helping make their dreams come true. Her easy going exterior may sometime mask her rather fierce go getter it interior. Open-minded, curious, and insightful, Melissa has an excellent long-range vision and will diligently work to ensure your needs are met. Finding that perfect home, negotiating the deal and getting the best price for her clients is a passion that she moves towards daily. She tries to live each moment as a satisfying personal experience and will put these traits to work for you. Melissa can be reached on her cell at 502-693-8177 or her home office 502-935-3259 Let’s go find your happy place. I am a Realtor working for the Greater Louisville area. I moved to Louisville in 2006, after graduating from the University of Kentucky with a B.A in Integrated Strategic Communications. In 2014, I married my husband Blake, and in 2016, we welcomed our son Nash into the world. I have been in the service industry here in Louisville since 2006. Serving this community has been a large part of my life and I want to continue my service by helping people make their home buying a little easier, and maybe more enjoyable as well. Representing home owners and future home owners in both the Louisville and Lexington area markets, and all surrounding counties. Michelle's creative, enthusiastic, and caring nature is perfect for matching each client’s desires as well as skillfully featuring a home’s unique presence and character. Growing up in Louisville, now living in Shelbyville., Michelle's personal experiences in home buying and selling are benefits to her clients. Michelle believes in helping people to achieve their home ownership dreams, and is why she choose to became a REALTOR. Michelle strives for professional and exemplary customer service. Why settle for less, when you can have Moore. Mike and Rhonda are a husband and wife team, known as A Pair of Kings Real Estate Team. Together they strive to exceed the expectations of their buyers and sellers, whether that is buying your first home, upgrading to a larger home or downsizing to something smaller. They do everything in their power to keep your real estate transactions running smoothly. While they serve all of Louisville and surrounding areas, they often focus on the subdivisions of Apple Valley, Cedar Creek, Hollow Creek, Farmgate and Windgate Meadows. They specialize in first time home buyers and general resale properties. See what some of their past clients had to say. I can't say enough good things about A Pair of Kings Real Estate. Mike and Rhonda helped me get through my first home selling experience with expert guidance, knowledge, and skill. Frankly, I knew my home was not going to be an easy sell. But Mike and Rhonda truly went above and beyond and surpassed all my expectations. They were always reachable, quickly responded with answers to my questions, and provided me with prompt updates on viewings and offers. I will certainly use them again and highly recommend them to anyone I know looking to buy or sell a home. The Kings are Aces with me! Rhonda and Mike made our home buying experience a breeze. Very professional and accommodating. We had so many questions and they were always at our finger tips. They guided us with what we needed to do and what to expect. Definitely made our first home buying experience pleasant. In their spare time, they love spending time with family and friends, especially their adorable granddaughter, Savannah. They’ve raised three amazing children and spent the past 24 years focusing on them and all their activities. When they aren’t working or with family, you will likely find them working on a project around the house. If you are ready to buy or sell, A Pair of Kings is ready to go to work for you. Call Mike at (502) 445-5497 or Rhonda at (502) 541-4046. Rebecca Hubbard, NAR, KAR Realtor® Not very many times in life does one get to do their dream job. Rebecca is one of the lucky ones! For many years Rebecca had a dream of being a real estate agent. She loved to do interior design and decorating her own house and also loved to attend open houses and looked at how other homes were decorated and designed to get ideas. She especially loved the idea of being an agent one day, helping a young family or first-time buyer find that special home. Finally, in 2016 she and her husband Tim, also an agent with Exit Realty, decided on their anniversary that they were both going to go for it! Yes, they decided then and there they were going to enroll in classes to get their real estate sales associate license together and they did it. Rebecca loves being a real estate agent and has been very successful, but what she enjoys most is building long-lasting relationships and friendships in assisting her clients in Frankfort in completing the sale or purchase of homes. Rebecca is very familiar with all Frankfort neighborhoods as well as surrounding areas in Central Kentucky, but has special insights and experience in the Silver Lake, Arnold Ridge, and Indian Hills areas. Rebecca and Tim are originally from Prestonsburg, Kentucky in the mountainous southeastern part of the state, although they have put down strong roots in Frankfort as they and their son Zack have spent the last 28 years living and working in Frankfort and they are proud to call it their home. Rebecca’s mother Lorraine also lives in Frankfort. Rebecca currently works for state government, having over 28 years of administrative, office management and information technology experience. In her spare time Rebecca enjoys volunteering as a dog adoption counselor with L.I.F.E. House for Animals, serving as chair of Elders at her church, spending time with her dogs, and decorating and antique shopping. Whether you wish to sell your home, are a new home buyer, wishing to downsize or looking for that dream home, contact Rebecca today for help with all of your real estate needs! We live here, we work here and we’re here to help you with your real estate needs! As a native of Anderson County for many years, and the experience that I have being in Real Estate now for 17years, and with the education of having my ABR and GRI, I feel that I can help you with any real estate need. I am a member of Chamber of Commerce and belong to Anderson Christian Church here in Anderson County. I have raised my children here that consist of 2 girls, 5 grandchildren and 1 great grandchild. I wouldn’t want to live anywhere else but Anderson County. Feel free to give me a call with any real estate need that you have. I understand the different types of financing and can help you get to the right person to get you qualified for a loan. We are The Green Team and we make buying and selling real estate simple. We are comprised of a husband/wife duo and two buyers’ agents with over 37 years combined experience and we specialize in residential and commercial deals, land/lots, new construction, and the REO/foreclosure markets in Kentucky and Southern Indiana. In November 2018, our team was honored to be named as a top 3 internationally ranked real estate team by closed ends by Exit Realty Corporation and we sold 36X more real estate by volume than the average agent in Louisville. Our team lead was also named #1 agent in Kentucky by Exit Realty Corp in 2016, 2017, and 2018. We pride ourselves on our ability to be a “teaching” team and we love to walk WITH our clients down this crazy road of real estate, not drag you along. We aim to educate and empower those around us, not only in real estate, but also in life! We are affiliated with the Dave Ramsey program and are Endorsed Local Providers (ELP’s). We also strive very hard to give back to our community and are affiliated with the Homes for Heroes program – a program that gives substantial discounts and rebates to the “heroes” in our communities. In addition, we do a large amount of transactions within the foreclosure markets in Kentucky and Southern Indiana and work with 18 banks across the country to be a top educated team in the field. We strive to get to know our clients personally and work very hard to be our clients’ friends and agents for life – not just for a transaction. We sincerely hope if you are considering buying or selling in Kentucky or Southern Indiana that you will give us a call. Even if we aren’t the team for you, we promise to work hard to leave you better prepared and able to make your sale or purchase as stress-free as possible. Tim Hubbard, NAR, KAR Realtor® Tim is very excited that he and his wife Rebecca are both working together as agents with Exit Realty Crutcher. Tim has worked 28 years in state government and will be retiring later this year to devote more time to assisting buyers and sellers in achieving their goals in real estate. Tim’s career in state government has been dedicated to serving the public and protecting the environment and he brings that same focus and commitment to customer service in helping you achieve your goals in real estate. Tim loves helping buyers find that special home that will be a great fit for them and their family, and he also enjoys selling both homes and farm properties in Franklin County and surrounding areas. Tim is a self-admitted rockhound and collects rocks and fossils. He comes from it honestly as he holds degrees in geology from Morehead State University and Eastern Kentucky University and is a Kentucky Registered Professional Geologist. Tim enjoys volunteering with Rebecca at L.I.F.E. House for Animals and serves as board chair, Elder and sound tech at church, spending time with their dogs, gardening, and reading. Tim is an avid Cincinnati Reds baseball fan, Cincinnati Bengals football fan, and also enjoys basketball and soccer. Contact Tim today to find your next home or to sell your current home! We live here, we work here and we’re here to help you with your real estate needs! Tina is a Realtor with expert skills in connecting with her clients real estate needs and making them happen as quickly, easily, and simply as possible. Her areas of experience include residential sales, land and lot sales, short sales, foreclosures and HUD owned properties in Lawrenceburg, Frankfort, Harrodsburg, Lexington and the surrounding areas. I AM RESULTS DRIVEN AND WILL WORK HARD TO EARN YOUR TRUST! Vicky has been serving the Louisville, Ky Real Estate market since 2008.Vicky not only works with Residential Properties but also prides herself in the expertise of working with Investment, Lender Owned, HUD, REO and New Construction Properties. The home selling/buying process can be quite stressful and Vicky always considers it her main goal to make her clients feel like “they have been taken care of” during this process. Vicky wants her clients to know that she will always return calls, emails or texts usually within hours. Vicky uses every resource available to market a seller’s home and is relentless until that home sells as she also finds great joy in finding the buyer their dream home. Here are just a few testimonials from Vicky’s “taken care of” clients…. “Vicky Bouchard was one of the most professional and courteous agents I ever dealt with. I could not be any more pleased with the service she provided.” B. Geiger “Vicky worked very hard to sell our home. She was always accessible and gave us excellent insight to selling.” T. Wafford “Vicky was extremely helpful and made the whole process very simple.” K. Bryant Vicky has been driven since the young age of 4, when Vicky became enthralled with the T.V. show "Kung Fu". She would beg her dad to please take her to a karate school and he would try to distract the little girls thoughts onto other things, because little girls did not participate in karate 44 years ago! Well, she would not and could not be distracted for the next year. Finally, at the age of 5, her dad took her to the local karate school to end the constant begging. As the Korean master looked perplexed as to what he was going to do with this little girl, he signed her up and gave her dad the only 'do bok' he had, which was for an average sized man. Vicky's father then stayed up for the next several nights cutting and sewing this enormous uniform to fit his 40 pound daughter. To everyone's surprise Vicky not only loved karate, but she found that whatever she put into karate it came back in return with advancements in belts, trophies and skill. The sky is the limit!! So, with the love and almost obsession she had with karate, she learned at a very young age what hard work, determination and discipline would bring. Vicky became the youngest black belt in the world at the age of 8. Vicky has won countless trophies, been featured numerous times on the local news sports segments all over the U.S. and has been featured on the front pages of "The Milwaukee Journal", Germany's "Stars and Stripes" on Hong Kong's front page, Madison, Wisconsin, Omaha, Nebraska and the "Courier Journal's" sports sections. Just as karate was her love as a child so is real estate now as an adult. The hard-working, determined and disciplined spirit never leaves a person; it just becomes stronger with new challenges and opportunities. Which explains how Vicky was awarded 5th in the state of KY in 2016 for gross sales and gross commissions earned! If you are in the market to buy or sell in the surrounding Louisville Real Estate market give Vicky Bouchard a call for she is results driven and will work very hard to earn your trust. Call her today @ (502)931-9156 so you can discuss with Vicky how she can help you with your next real estate transaction. Vicky comes from a family of five girls. While growing up, her parents bought and remodeled houses. As she grew up, she has found the passion for buying and remodeling her own houses. Vicky has resided in Lawrenceburg, Anderson County, for 35 years and absolutely loves it. She is familiar with all of the neighborhoods, inside-out, and has the ability to assist you in selecting the best home for your family's needs. As a resident of Lawrenceburg and surrounding counties, Vicky can put her insider knowledge to work to find a special property in your neighborhood of choice. Vicky also uses the newest internet marketing tools to depict your property to the broadcast possible range of qualified buyers. Why select Vicky as your real estate agent? She has years of experience in staging, organizing and decorating. She will work tirelessly on your behalf. She would like to earn your business. So, call her today and she will work extra hard to make sure your real estate transaction is a complete success. EXIT Realty, A Smart Move! EXIT Realty is revolutionizing the real estate industry. 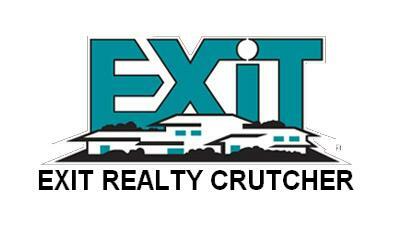 Wendy is happy to be with EXIT Realty Crutcher. She has experience in multi-family residential properties and apartment buildings as well as selling residential properties. She is the Realtor for you. She is available to work with you in Shelbyville, Louisville or the surrounding areas. Just call or text her your needs and she will be happy to assist you! She is a member of the Greater Louisville Association of Realtors, Kentucky Association of Realtors, and National Association of Realtors. Wendy can be reached at 502-821-1579 or wendy@exitrealtycrutcher.com. At EXIT Realty Crutcher we bring buyers and sellers of real estate together. We EDUCATE our buyers and sellers sharing our knowledge and insight to create a stress free transaction. We COMMUNICATE effectively and listen to the needs of our buyers and sellers to make THEIR dreams a reality. We DEDICATE to hard work, integrity and utmost care of every buyer and seller.